Bonjour lecteurs! You know me and my passions: drinking wine and taking pictures of Baba. I am far from being sporty. Well, I do my bit sometimes. Walking to work and shopping for hours can be quite intense! Oui, oui, shopping is officially a sport! I heard that the Olympic Games’ organisers were considering adding it to the official list in the next edition! 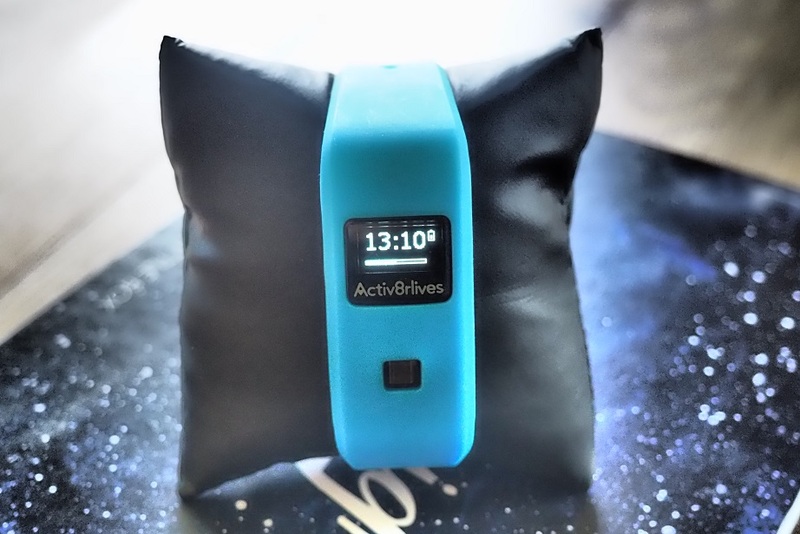 Sérieusement, I am not a very active person… But when Activ8rlives was looking for bloggers to try and write about their waterproof activity and sleep tracker, I decided to have a go! After all, I need to get fit and everyone has such a gadget. Moi aussi! 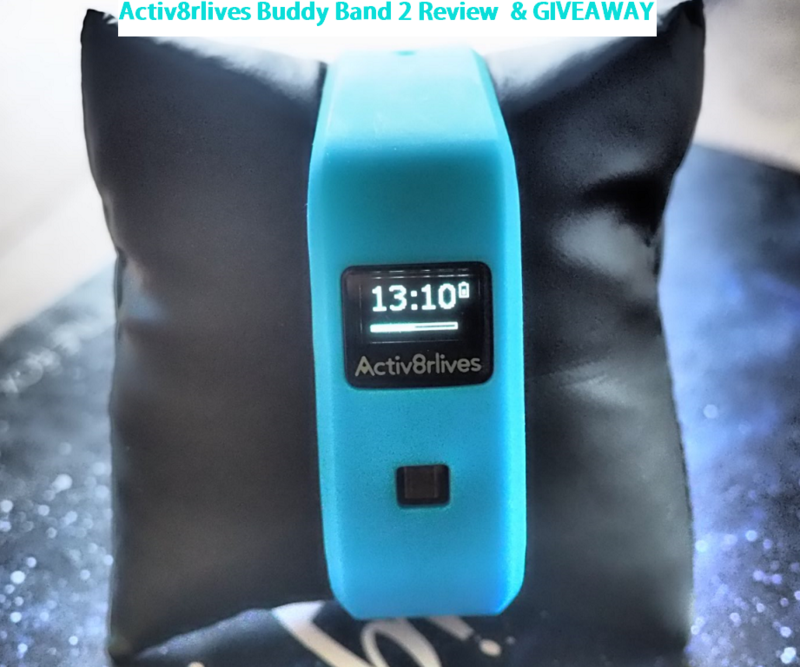 We have been trying it for a couple of weeks now and here is our Frenchie Activ8rlives Buddy Band 2 Review. I hope you like it! And if you want to try it yourself, don’t forget to enter our GIVEAWAY at the end of this post! Bon weekend! What is Activ8rlives Buddy Band 2? The Activ8rlives BuddyBand2 tracks physical activity and energy expenditure in calories and the Total Active Minutes during each day. The complete kit for a Frenchie Sporty! So I am not sporty, we know. But I am not good with new technologies either! Fortunately, the Activ8rlives Buddy Band 2 is so simple to set up. Your gadget comes with a very informative booklet which explains how it works, but also how to get started. Frenchie Mummy was very excited to get started! Plus I also like the fact that you have three different bracelets to choose from. I have mainly used the black version (I am a very shy person so I don’t like getting too much attention! Just kidding! ), and it’s easy to change from one to the other. The blue version was a great choice too! Another great feature that I like? The battery seems to last forever! 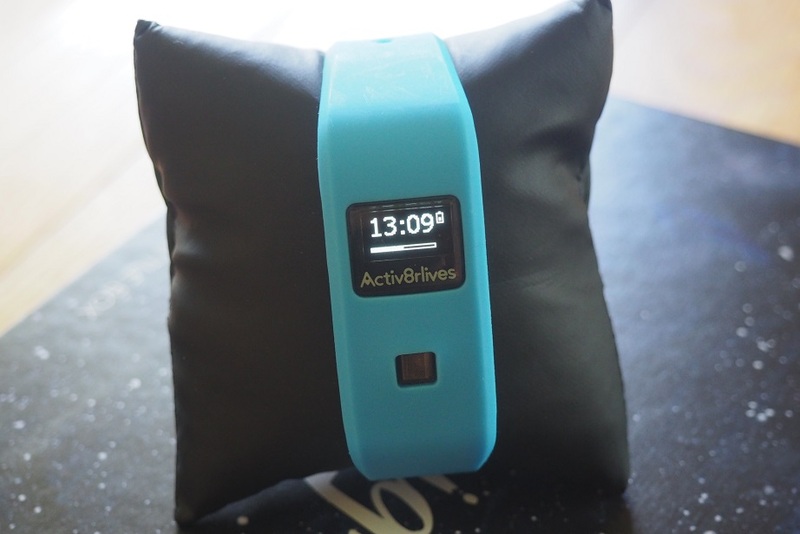 I can use the Activ8rlives Buddy Band 2 for more than a week without having to charge it! It’s great! You can also use it at night. Personnellement, I don’t like wearing anything when I sleep so I didn’t use much this option, but it’s a great idea for people who want to use the sleep tracking mode. What I love the most about this item is definitely the easy way to track the number of steps I am doing each day. J’aime aussi seeing how many calories I am burning and how far I have been. I am usually not bothered about these details but since using the Activ8rlives Buddy Band 2, I have been more aware of it. It’s been very good to have a challenge every day! I am not very competitive but I actually found myself really going for it over the last few weeks! I am now comfortably doing 10000 steps a day so I will go for the next stage from tomorrow! As I said before, I am not super sporty. 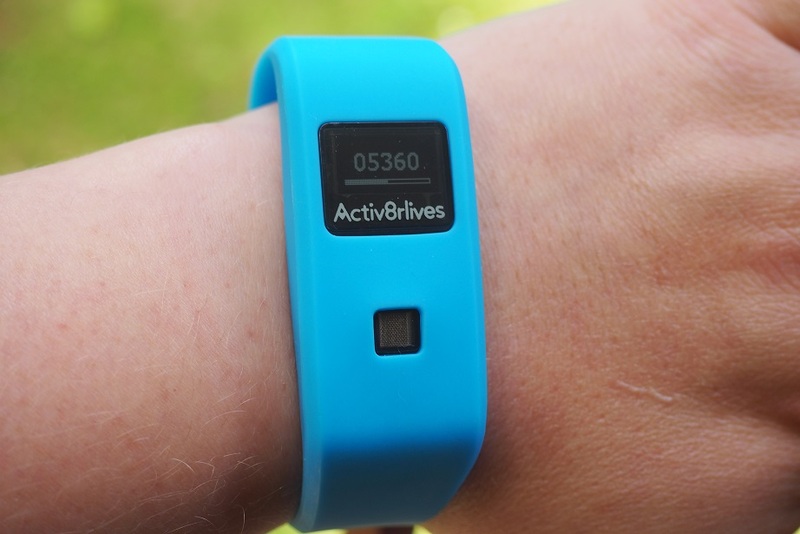 However, using the Activ8rlives Buddy Band 2 really made me want to be more active. As I could easily track my steps every day, I would get off the previous bus stop if I was far from my target. I think that overall this new gadget made me more conscious about being as active as possible. I was also surprise to see how little calories a day I was burning! With an average of 300 calories, I realise now that I need to eat less and exercise more! But it’s been very positive as it made me more active and really trying my best! It is not even 12 pm and I am already half way through my target! It’s a great gadget for mamans who want to be more active or need a little push to get motivated. With the app on your phone, you can easily understand how your activity changes throughout the week and adjust your habits later on to get a better score! You can also set yourself some targets to help you towards a healthy lifestyle! I am going to be honest with you. If Grumpy Boyfriend got me an activity tracker for Christmas, I would have been super disappointed as it’s not really my thing! But writing an Activ8rlives Buddy Band 2 Review has been such a discovery! I am truly in love with it now. I am aware that many people questioned the efficiency of fitness trackers like this. However, using Activ8rlives Buddy Band 2 has been very beneficial to me! At least, it made me want to move more! And it’s not pricey, so go for it! The new gadget that makes feel Frenchie Mummy like Wonder Woman! I think it’s perfect for mamans who want to get more active but don’t necessarily spend beaucoup d’argent for such a gadget! Indeed, I liked it so much I want you to try it too for free! This can be yours too! Do you want to get more active? Or do you want to have a cool gadget like everyone else? Then enter our sporty GIVEAWAY now via Gleam! We are so excited to offer you such an amazing prize! There will be only one winner! 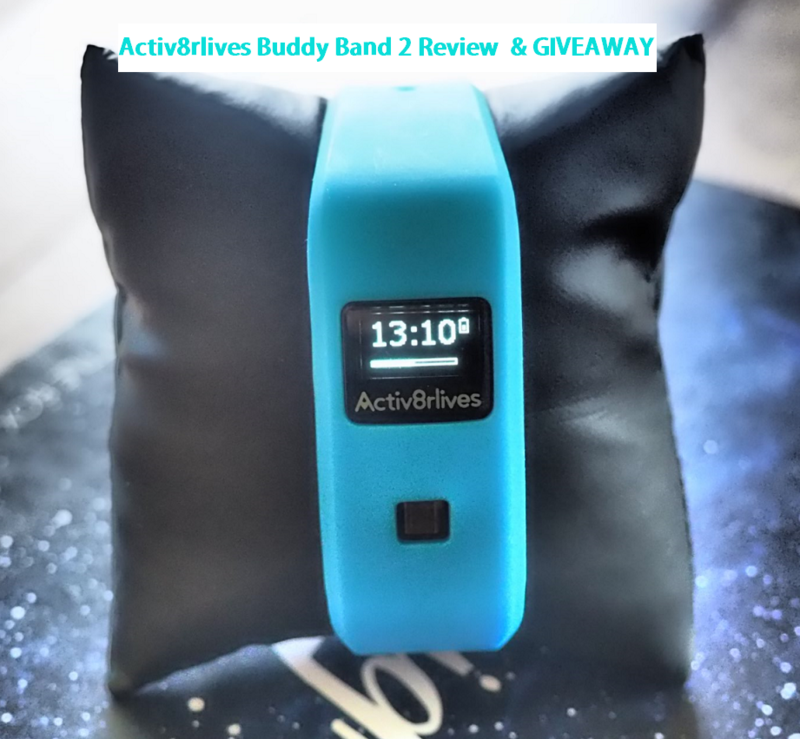 Enter via Gleam below for a chance to win an Activ8rlives Buddy Band 2 worth more than £49! The closing date is 11:59 pm on Tuesday 11th July 2017. Provision of the prize is the responsibility of Activ8rlives. We will treat your data in confidence and we will not disclose it to third parties. 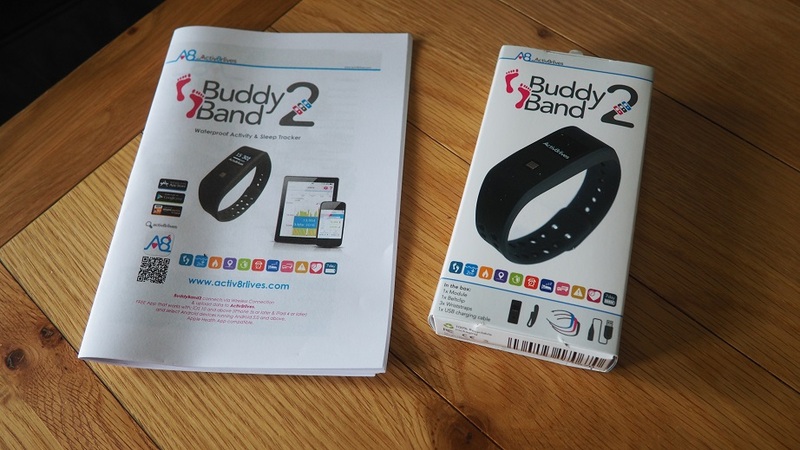 Thanks for reading our Activ8rlives Buddy Band 2 Review! I would love to hear your thoughts about fitness trackers like this. Are you too addicted or do you think it’s not for you at all? share it all in the comments’ section! What a great gadget thank you! This would be great for my weight loss kick! awesome! haven’t seen these before! very useful indeed! Would love to try this . I put on 6 stone in 10 months due to illness. It seems like everybody​ and their dog has a fitbit these days except me! I’d love to show off with one of these and get fitter in the process! Be soo interesting to see how much I do while I’m working. This looks like a great gadget. This prize is a must for people like me, and my gym buddies! I was looking for one of these for a while now. I was looking into fitbit, but reading your article makes me want to change my mind! I could really do with one of these to get me motivated to get fit. These look really good, would be fantastic to win! Great prize. Exercise is good for us, yet can be difficult to get regular exercise due to commitments, etc. So keeping track by use of Buddy Band lets us see, and take account of what we manage when etc. Great idea. Looks good. I’ve been thinking about trying an activity tracker for sometime. This looks great, just the thing I have been looking for. Fantastic review, I’ve been wanting one of these for ages. I’ve been looking at fitness trackers, but was never sure if they were worth the money. Even more tempted now! I think using a fitness tracker can help give you that bit of encouragement to keep active. I’d love one of these to help keep me motivated. Great excuse to get into shape! Such a fantastic prize. Thank you! Great prize, fingers crossed ?? This looks like a great little gadget. Great competition and prize – thanks for running this. How good is the display outside? I have a cheap activity tracker that is really difficult to see in the sunshine. A perfect way to get motivated and up my steps! A neat little gadget. Thanks for the giveaway. One of these would be perfect right now! Ive just started couch to 5K! What a lovely prize and so useful too – I would love to win this! This would be amazing, thank you. Looks fab! Keeping everything crossed! Thanks for the giveaway, would love to win. I genuinely need one of these in my life! Great way to get fit! I’d love to win this, need some motivation to move more. Brilliant prize, have always wanted one of these, especially as I am trying to be more active. Thanks! Fabulous giveaway would be fab to track my fitness ? Next Next post: Chi Kitchen Restaurant Review – A colourful and exotic family meal.